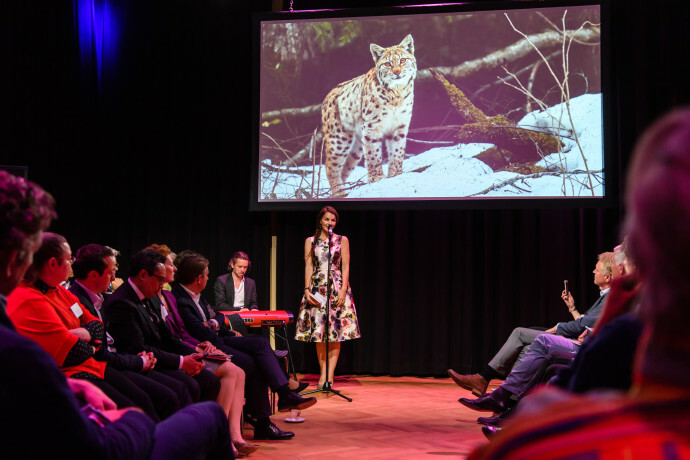 On April 19, Rewilding Europe held its first ever gathering in Amsterdam. 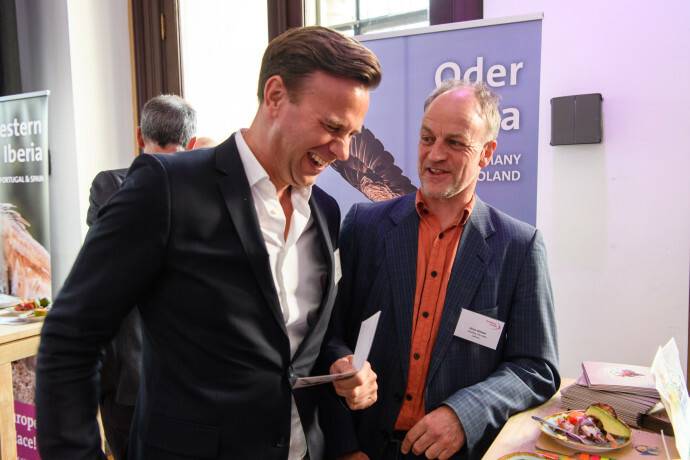 The Wild Ways event was attended by members of the supervisory board, Rewilding Europe Circle, senior management, central team and local rewilding teams, who welcomed various guests, partners and supporters. 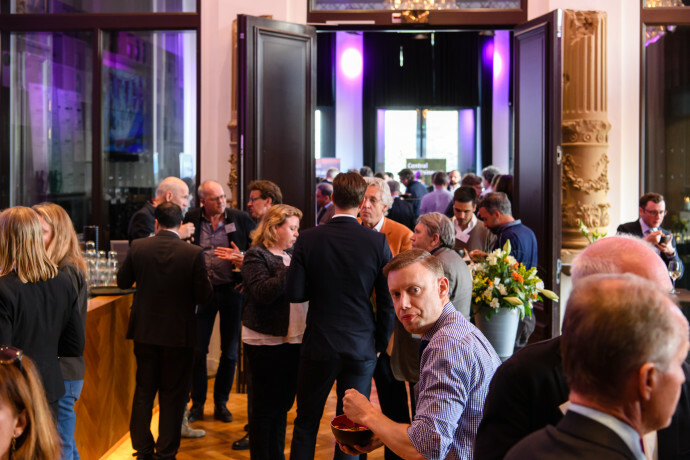 Bringing together 120 people from nearly 20 different European countries, Rewilding Europe’s first ever gathering was held in Amsterdam on April 19, 2017. 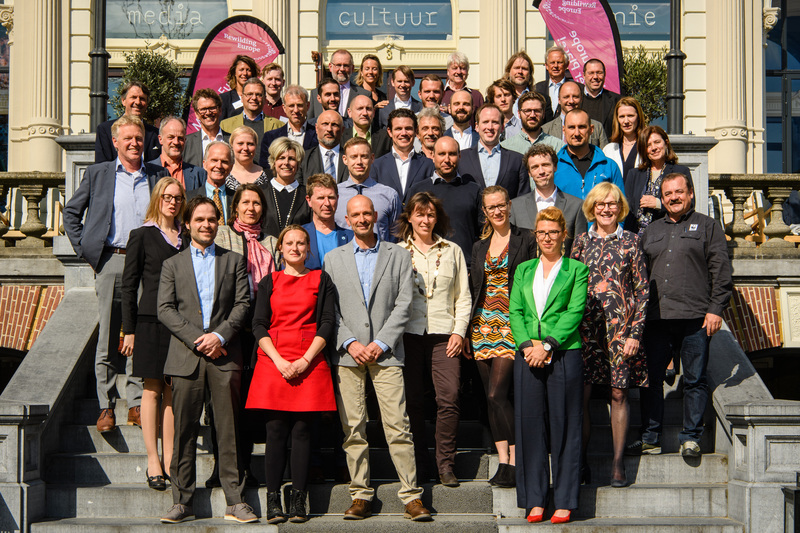 This momentous event, called Wild Ways, took place in the heart of the Dutch capital, and was attended by all Rewilding Europe staff and team members, as well as a range of strategic and financial partners, Rewilding Europe Circle members, advisors and supporters. 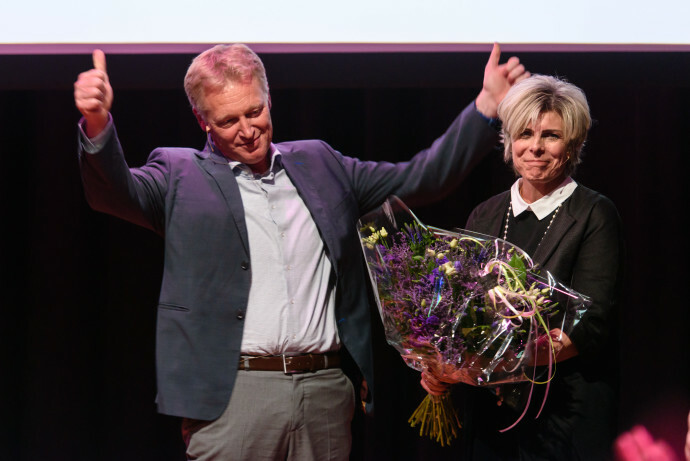 Her Royal Highness Princess Laurentien of the Netherlands, supporter of Rewilding Europe since its inception, presided the Wild Ways event. 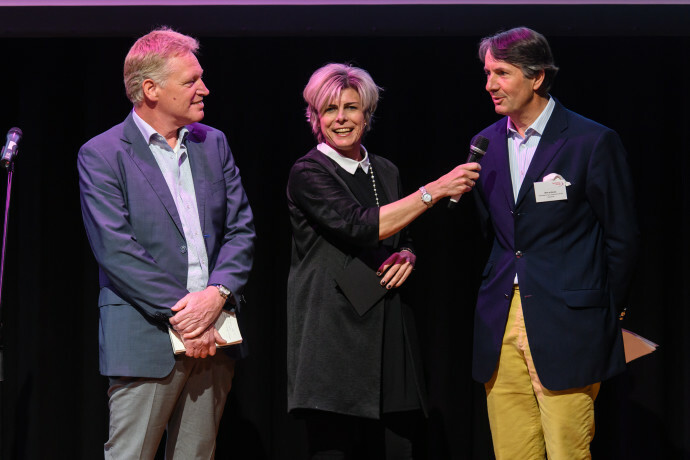 Wild Ways was presided over by Her Royal Highness Princess Laurentien of the Netherlands. 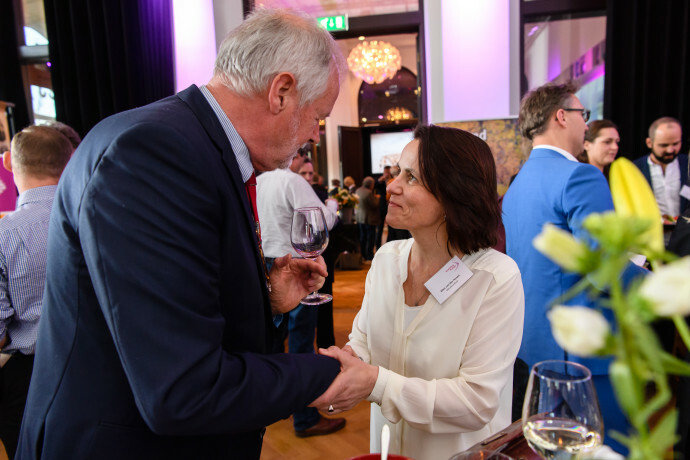 The princess has provided invaluable advice to Rewilding Europe since inception, and we extend our heartfelt thanks to her for overseeing the event’s colourful and energising programme. 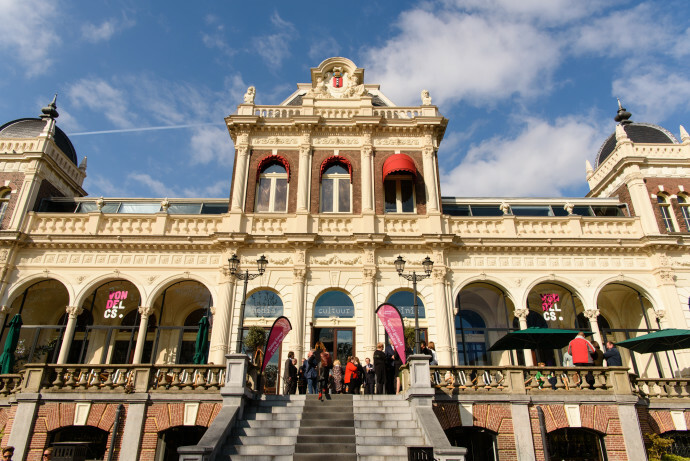 Founded in 2011, Rewilding Europe recently celebrated its fifth birthday. These are obviously still early days for a conservation initiative that has its heart and mind set on making the European continent a significantly wilder place. Yet thanks to the efforts of our growing team and valued partners, the rewilding movement is now gaining considerable momentum. With great potential to positively impact European lives and wild nature, it is increasingly becoming accepted and embraced as a bold, new and supplementary approach to conservation. Across the eight rewilding areas where Rewilding Europe is currently working, we are now collaborating with multiple partners on dozens of pilot initiatives, while insight, knowledge and real life experience are shared on a regular basis within a burgeoning European Rewilding Network. Held against this backdrop, Wild Ways reaffirmed Rewilding Europe’s commitment to promote wild nature as an inherent and vital aspect of Europe’s natural and cultural heritage, within a modern, 21st century European society. Team members from Rewilding Europe’s eight rewilding sites introduced their areas and work at the Wild Ways Rewilding Market. 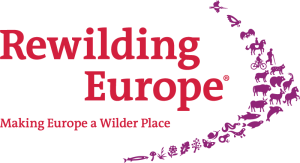 Wild Ways gave all those involved with Rewilding Europe the opportunity to come together, to get to know each other, and to hear more about the exciting rewilding projects that are now taking place across the European continent. 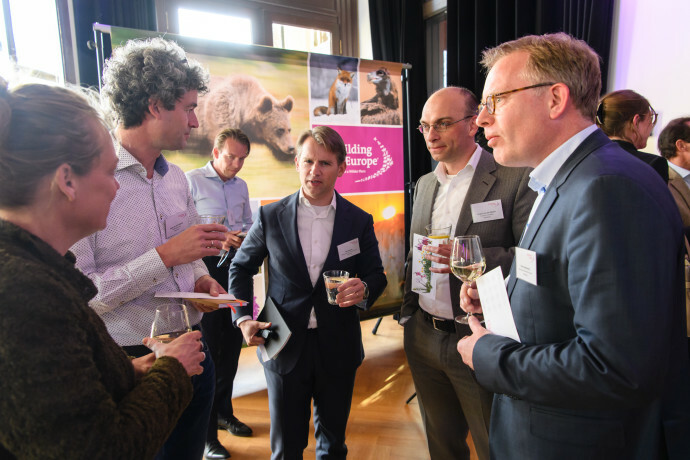 A “rewilding market” saw team members from Rewilding Europe’s eight operational sites introduce their areas and work, while members of the central team presented Rewilding Europe Capital, the European Safari Company, the European Wildlife Bank and the European Rewilding Network. 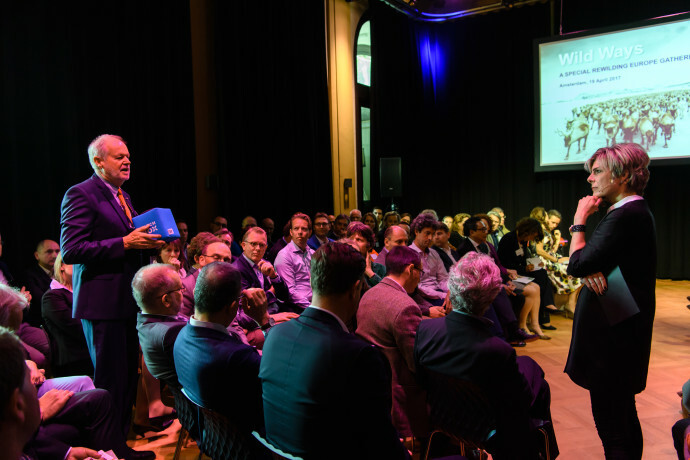 Rewilding Europe’s Annual Review 2016, a milestone edition, was also unveiled at Wild Ways, affording attendees the chance to reflect on the initiative’s groundbreaking work and achievements over its first five years. But Wild Ways was also about looking ahead. 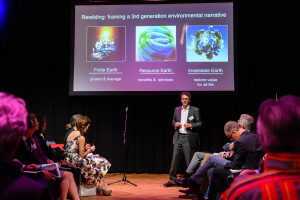 In his opening keynote speech, Oxford University’s Paul Jepson explained how and why rewilding is now starting to frame a new narrative for conservation, and highlighted its huge transformative potential. Oxford University’s Paul Jepson in his keynote speech at Wild Ways explained how rewilding is becoming a new narrative for conservation. 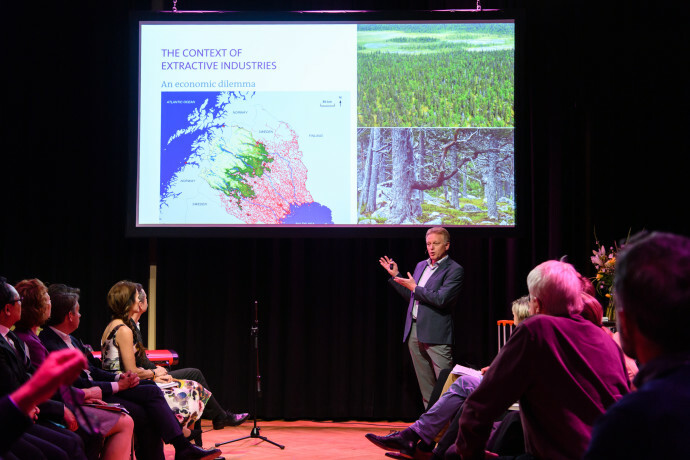 Together with perspectives shared from a non-European context, the event gave participants the perfect platform to discuss the future of rewilding in a European context. 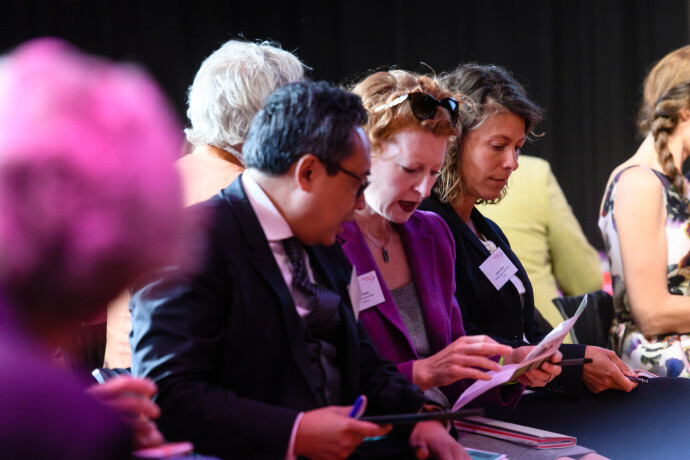 Views on European rewilding and encouraging words of support were shared by representatives of like-minded initiatives in Russia, Australia, Africa and North America via video message. 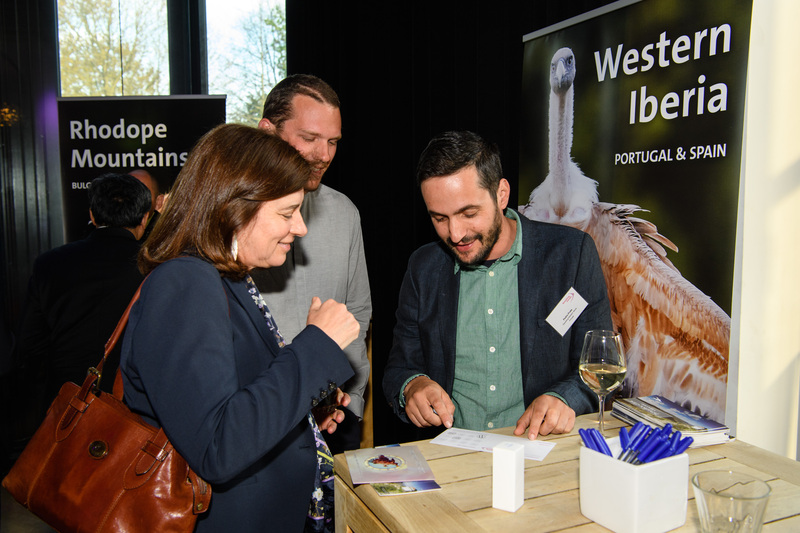 With powerful imagery and dramatic film footage reminding attendees of the incredible beauty of European nature and wildlife, Wild Ways was a celebration of Europe’s rich natural heritage, which is yet to be discovered by so many Europeans. 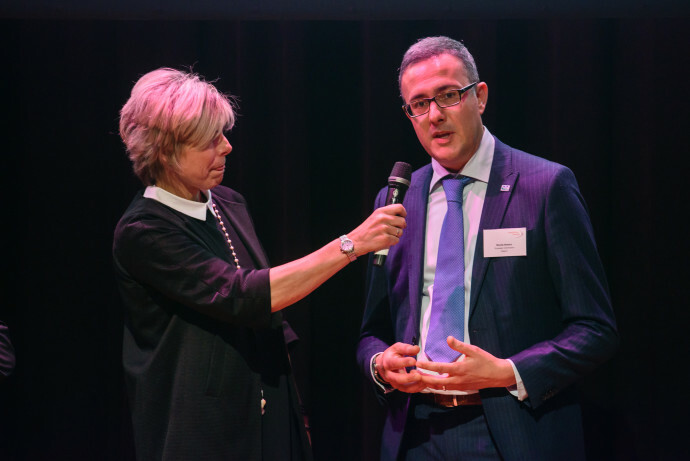 The event threw a spotlight on the myriad opportunities that we can now take advantage of, not only to protect Europe’s existing wild nature, but to facilitate the comeback of wild nature and wildlife across the continent. Rewilding Europe’s holistic approach means such a comeback can bring multiple benefits to both nature and people. 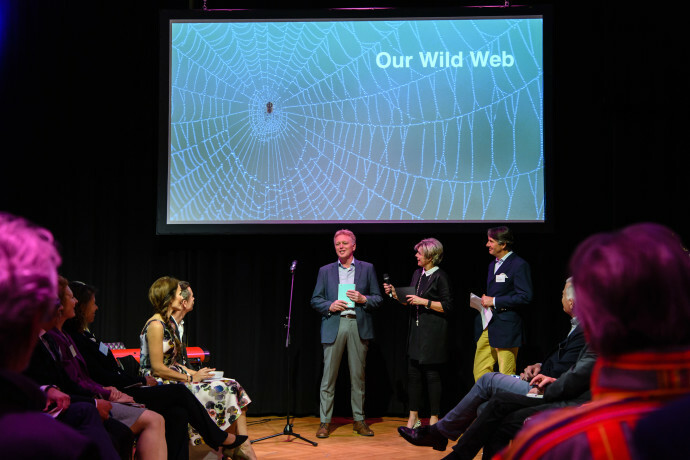 To coincide with its fifth birthday, Rewilding Europe also took the opportunity to present its “European Five” at Wild Ways. This innovative take on Africa’s so-called “Big Five” proposes multiple selections of species – from large to small, mammal to insect, bird to fungus – which we collectively put forward as contenders for “Europe’s Five”. These whimsical quintets not only refer to the number 5, but also pay testament to the inspirational beauty and diversity of Europe’s wild nature. You can download a poster featuring “Europe’s Five” here. Rewilding Europe would like to thank all Wild Ways participants for their attendance at the event, and for their unwavering and passionate support. Your ideas, knowledge and commitment are invaluable in enabling us to move forward with our vision of a wilder Europe. 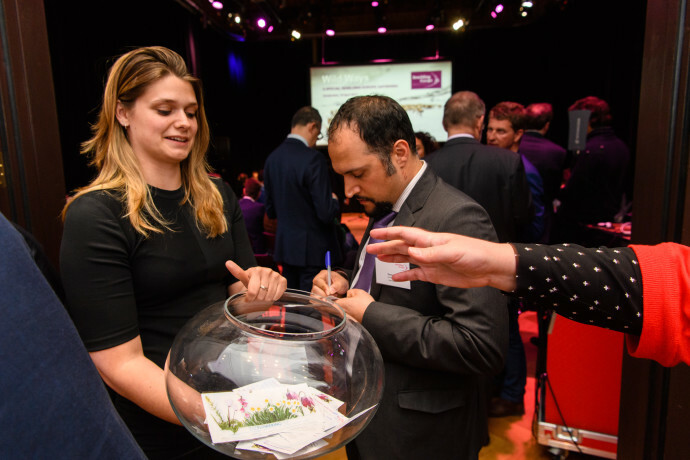 Wild Ways was made possible by the generous support of the Dutch Postcode Lottery, Adessium Foundation, WWF Netherlands and Bencis Capital Partners. 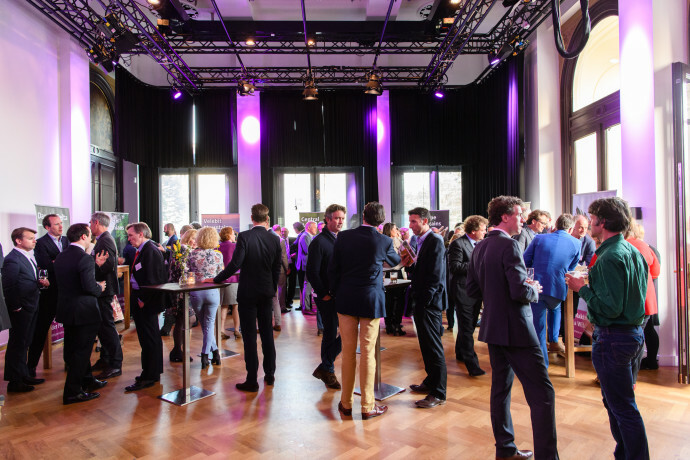 Wild Ways event was held at Vondelpark in Amsterdam. Frans Schepers presenting Rewilding Europe, and how to find your place in the ‘Wild Web’. 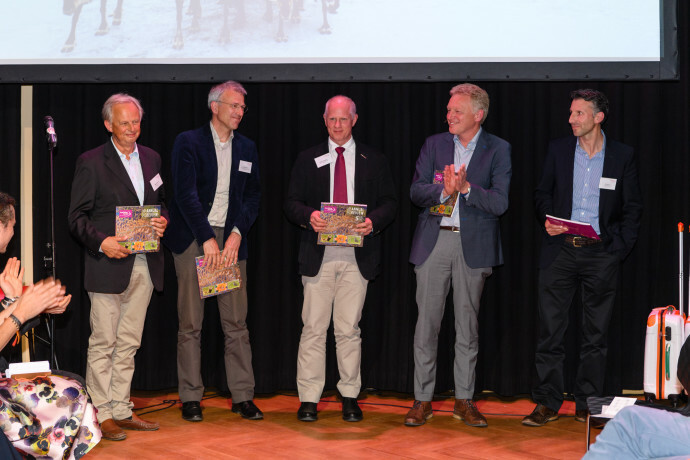 Five years after - "The wild 5" founders of Rewilding Europe, Magnus Sylvén, Wouter Helmer, Staffan Widstrand, Frans Schepers and Niel Birnie. 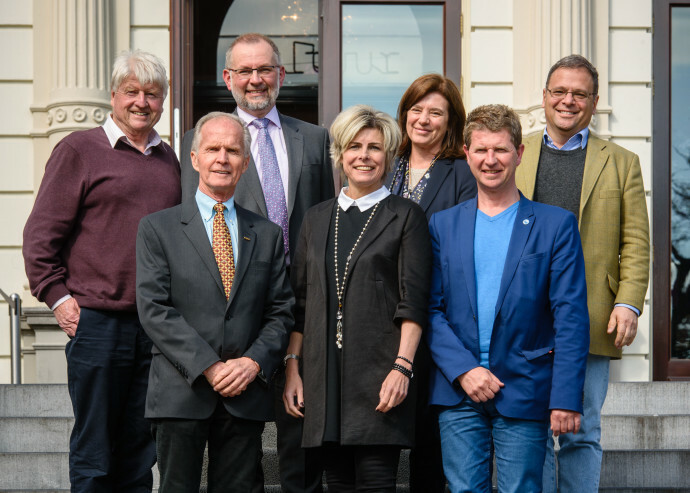 Members of the Rewilding Europe Circle from left to right: Stanley Johnson (United Kingdom), Vance G. Martin (United States), Ladislav Miko (Czech Republic), Princess Laurentien of The Netherlands, Paula Sarmento (Portugal), Ignace Schops (Belgium) and Julian Popov (Bulgaria). Nicola Notaro from Directorate-General for Environment, European Commission, speaking about the Natural Capital Financing Facility (NCFF), of which Rewilding Europe Capital is the first beneficiary. 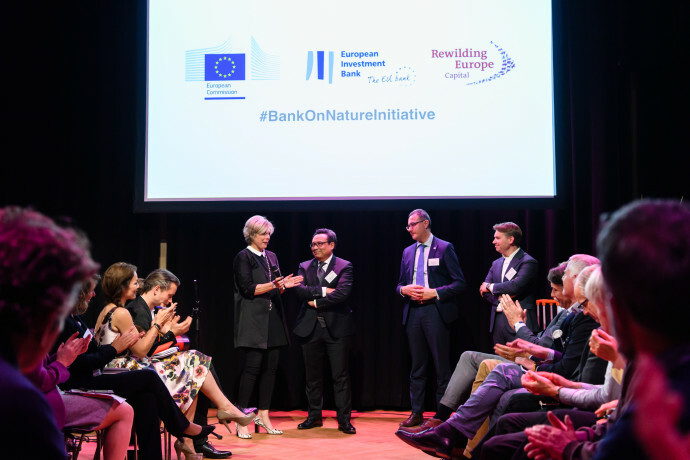 Princess Laurentien of The Netherlands (left), James Rainvosen from the European Investment Bank (left), Nicola Notaro from Directorate-General for Environment, and Ilko Bosman, Executive Director of Rewilding Europe Capital, discussing the Natural Capital Financing Facility (NCFF), a financial instrument that combines investment funding by the European Investment Bank and European Commission funding through the LIFE Programme. Lex Empress capturing the feelings and story of Rewilding Europe at the Wild Ways event through musical improvisation and on spot songwriting. 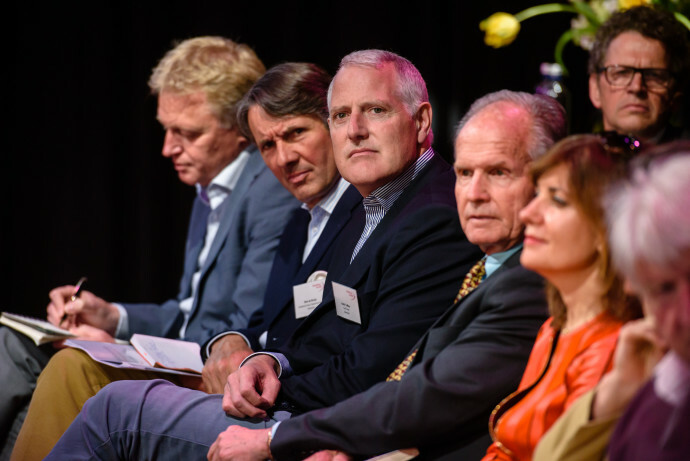 Frans Schepers, Managing Director of Rewilding Europe replying to questions from the audience at the Wild Ways event. Frans Schepers, Managing Director of Rewilding Europe giving a key note speech. 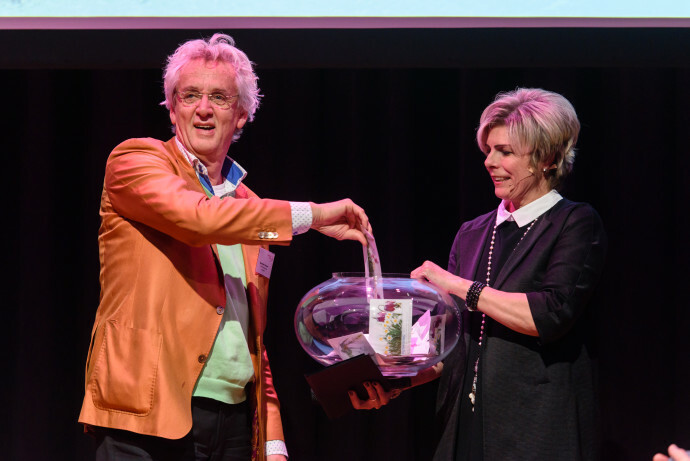 Boudewijn Poelmann, Dutch Postcode Lottery chairman of the board (left) and Princess Laurentien of The Netherlands (right) drawing the Wild Ways prize winners. 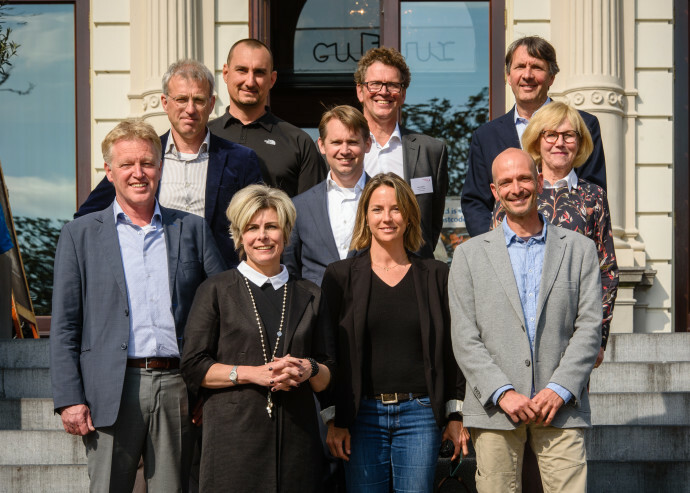 Rewilding Europe's Supervisory board and Senior Management team with Princess Laurentien of the Netherlands (from upper row, left to right): Alexandros Karamanlidis, Regional Manager, Paul Jepson, Supervisory board member, Wiet de Bruijn, Chairman of the Supervisory board, Wouter Helmer, Head of Rewilding, Ilko Bosman, Finance and Operations Director, Lena Linden, Supervisory board member, Frans Schepers, Managing Director, Princess Laurentien of the Netherlands, Odile Rodríguez de la Fuente, Supervisory board member and Deli Saavedra, Regional Manager. 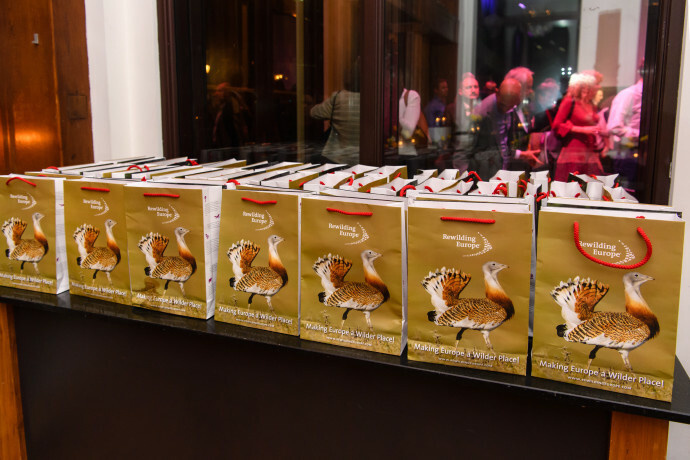 Rewilding Europe goody bags containing Annual Review 2016, Europe's 5 and local products from rewilding areas. 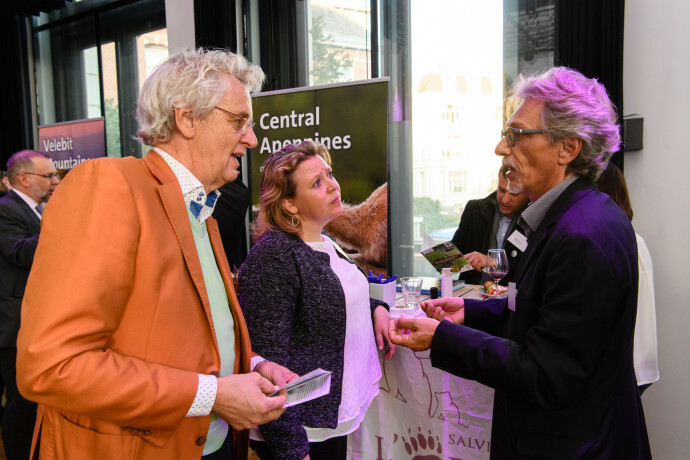 Paul Jepson, director of the MSc in Biodiversity, Conservation and Management at Oxford University and Rewilding Europe’s Supervisory board member (left) with Ronald Goderie from the Taurus Foundation (right). 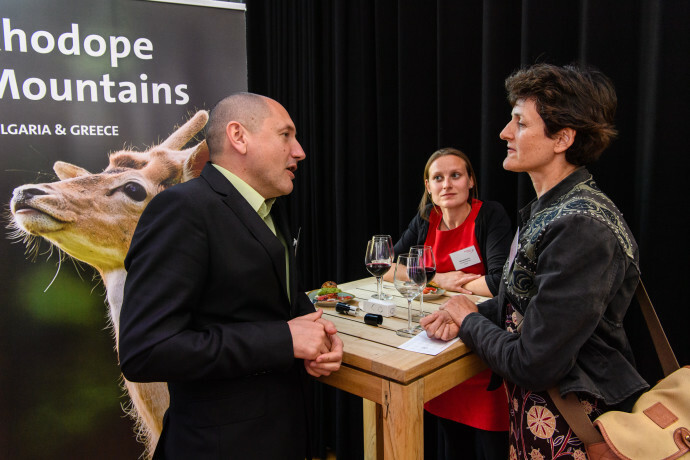 Frans Schepers, Managing Director (left), Princess Laurentien of the Netherlands (middle) discussing with Wiet de Bruijn, Chairman of Rewilding Europe's Supervisory board (right). 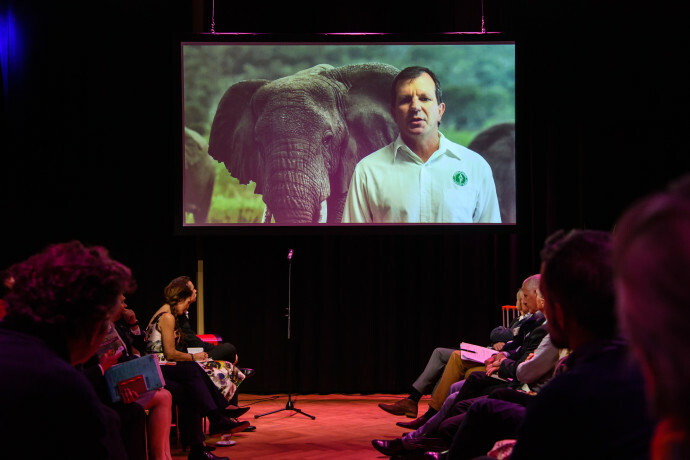 Video Messages to Rewilding Europe from around the world - Peter Fearnhead, Chief Executive Officer and co-founder of African Parks giving his inspiring message to Rewilding Europe and the audience of Wild Ways. 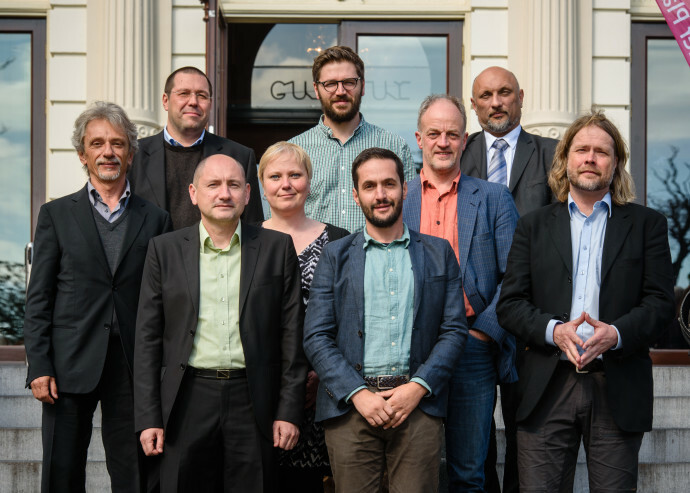 Team leaders of eight European rewilding areas (from upper row, left to right): Serban Ion (Danube Delta, Romania), Adrian Hagatis (Southern Carpathians, Romania), Davor Krmpotić (Velebit Mountains, Croatia), Alberto Zocchi, (Central Apennines, Italy), Iwona Krępic (Oder Delta, Poland), Ulrich Stöcker (Oder Delta, Germany), Stoycho Stoychev (Rhodope Mountains, Bulgaria), Pedro Prata (Western Iberis, Portugal) and Håkan Landström (Lapland, Sweden). 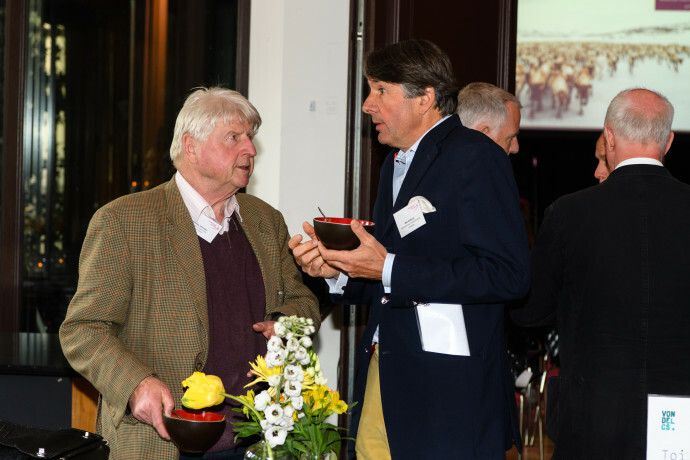 Stanley Johnson, member of Rewilding Europe Circle (left), discussing with Wiet de Bruijn, Chairman of Rewilding Europe's Supervisory board (right). 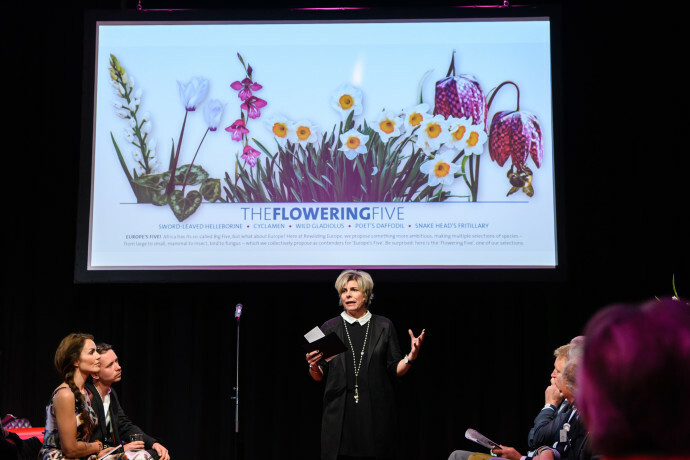 Princess Laurentien of the Netherlands presenting the "European Five" at Wild Ways. 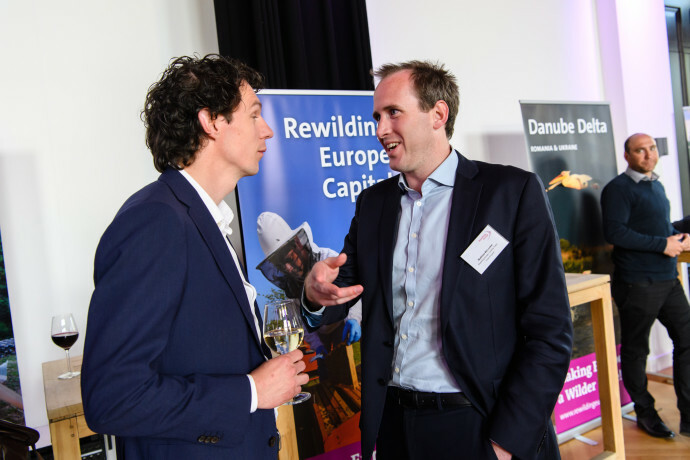 Martijn Meijer, Adessium Foundation (left) talking with Matthew McLuckie, Rewilding Europe Capital Investement Manager. 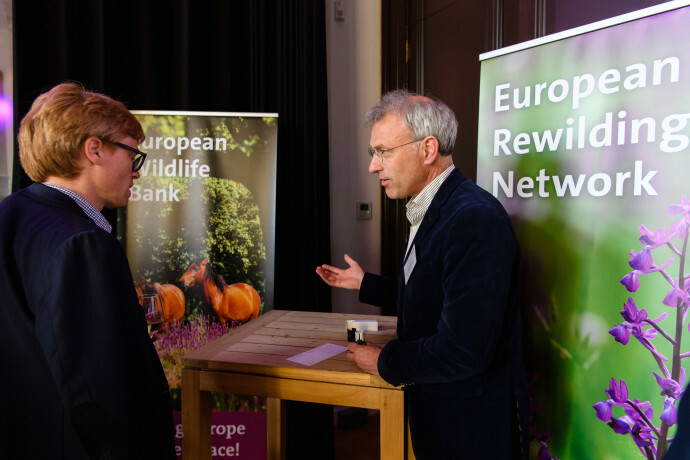 Hans Teengs Gerritsen from the Municipality of Amsterdam (left) talking with Wouter Helmer, Head of Rewilding about the European Rewilding Network. 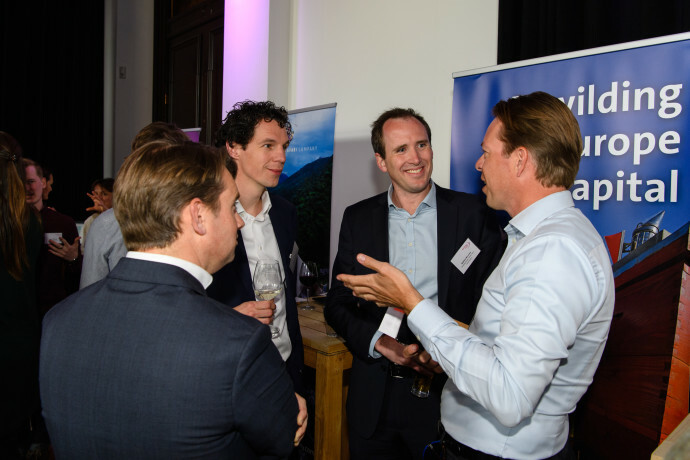 Ilko Bosman, Executive Director of Rewilding Europe Capital (middle), discussing the Bank on Nature Initiative and the Rewilding Europe Capital with guests. 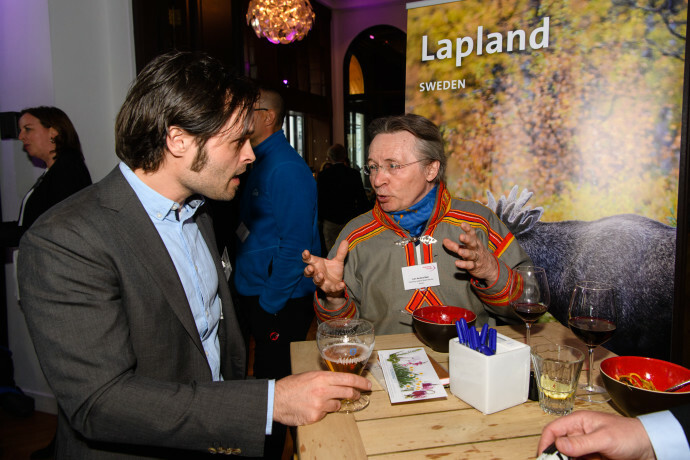 Lars-Anders Baer Chairman of Rewilding Lapland and member of the Sami parliament, Jokkmokk talking about rewilding activities and plans for Lapland rewilding area. 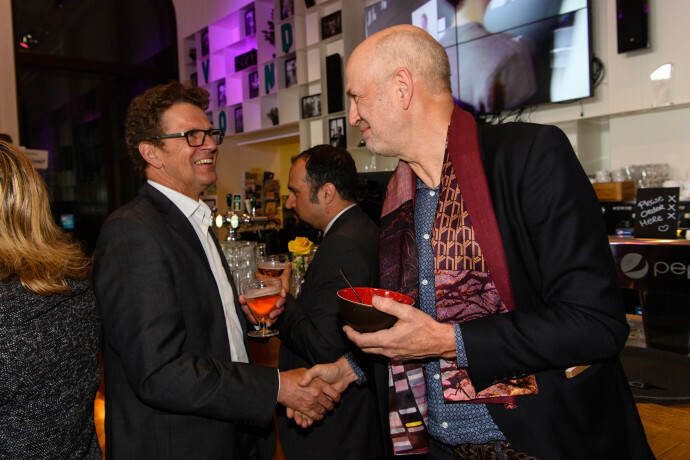 Ysbrand Brouwers, CEO of Artists for Nature Foundation (right) and Ellen van den Honert from Wild About Music at the Wild Ways event. 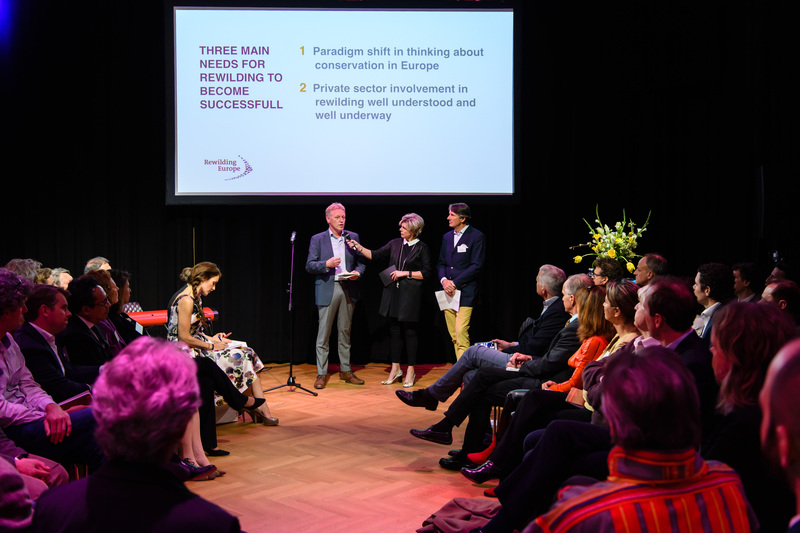 Alberto Zocchi, Team leader of Central Apennines, Italy (left) talking about the local rewilding work with Boudewijn Poelmann, Dutch Postcode Lottery chairman of the board (left) and Margriet Schreuders from the Dutch Postcode Lottery. Rhodope Mountains team members, Stoycho Stoychev, Team leader (left) and Nelly Naydenova, Communication officer (middle) presenting their work. 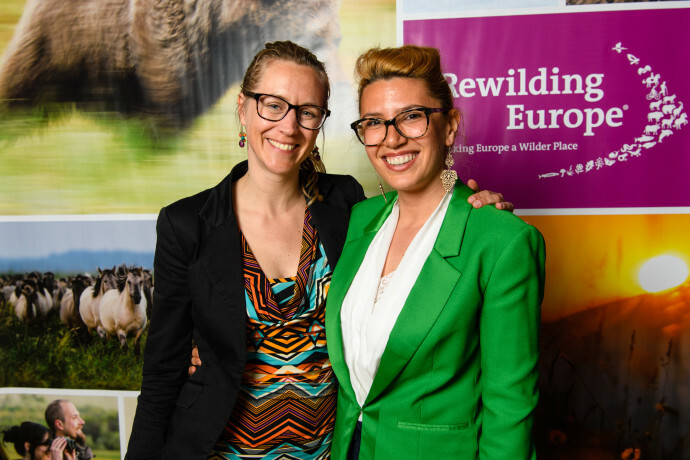 Yvonne Kemp and Mei A. Elderadzi - European Rewilding Network team at Wild Ways. Collecting applications from guests competing to win the Wild Ways prizes. 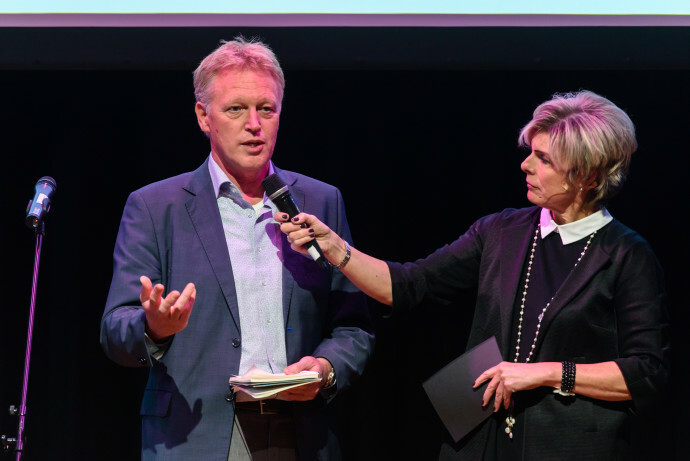 Closing of the Wild Ways event - Frans Schepers, Managing Director (left) thanking Princess Laurentien of The Netherlands (right) for moderating the Wild Ways event and to all guests for supporting Rewilding Europe.